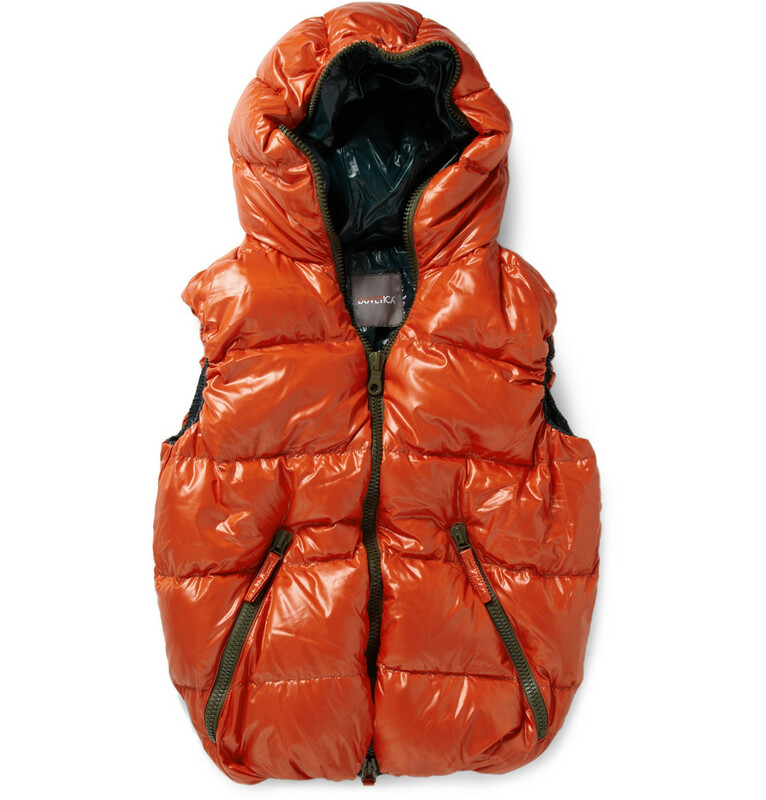 Down-filled padded gilet in merlot by Duvetica with zip up front and hood, two front pockets and a navy lining. This sleek piece of performance wear is designed to insulate and protect. Wear over a favourite shirt to give your casual style an urban spin.